Today is National Children’s Mental Health Awareness Day. 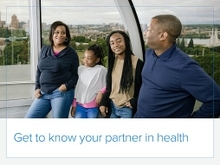 I’m mindful of the fact that we at Regence are serving populations with some of the highest rates of adolescent depression and severe adolescent depression in the nation: Oregon, Washington, Idaho, and Utah. At the same time, depression diagnoses among adolescents across the U.S. are up 63%. 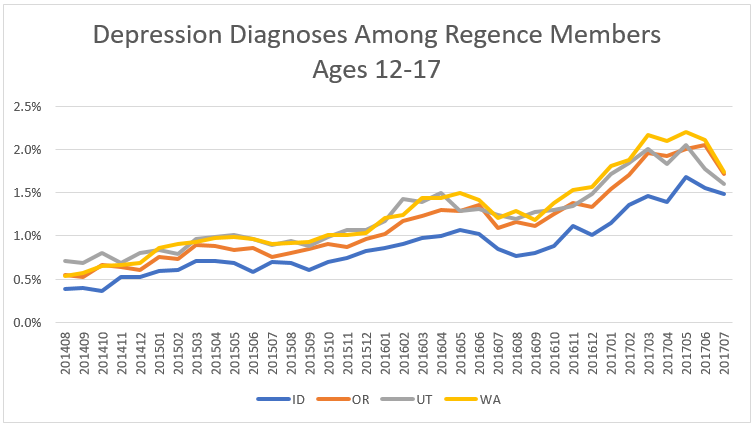 When we look at our own Regence claims data, there is an overall upward trend in depression-related diagnoses among our 12-17-year-old members since 2014. Emotional well-being is a critical component of healthy living. As a Child and Adolescent Psychiatrist and a Medical Director for Regence, I am dedicated to the behavioral health of our members and communities. That includes educating our members, identifying those with behavioral health problems, and facilitating early intervention both inside and outside our member communities. The upward trend in depression diagnoses is heart-breaking, but it also has a silver lining: These young Regence members have taken the first step in getting help by talking to a health provider! There is often a stigma associated with needing behavioral health services, so that’s a difficult first step to take and I’m proud of them. Unfortunately, we know that many young people across our 4-state footprint have yet to take that step, and are not receiving the care and support they need. To make that first step a little easier, Regence offers behavioral health services via telehealth, so our members can seek help from the comfort of their home. Parents and guardians should be on the look-out for signs of depression in their adolescents. Unlike adults, teens rarely seek medical care or professional help on their own. They rely on parents, teachers, or other caregivers to recognize their emotional suffering and get them the help they need. While sadness and hopelessness can be easier to recognize, many teens will show signs of irritability, anger, and agitation instead. Other signs that may indicate depression include unexplained aches and pains, withdrawal from friends or family, sensitivity to criticism, changes in eating and sleeping habits, or poor school performance. We all know that adolescence is a stressful time – teens face many new stressors and go through many physical changes. 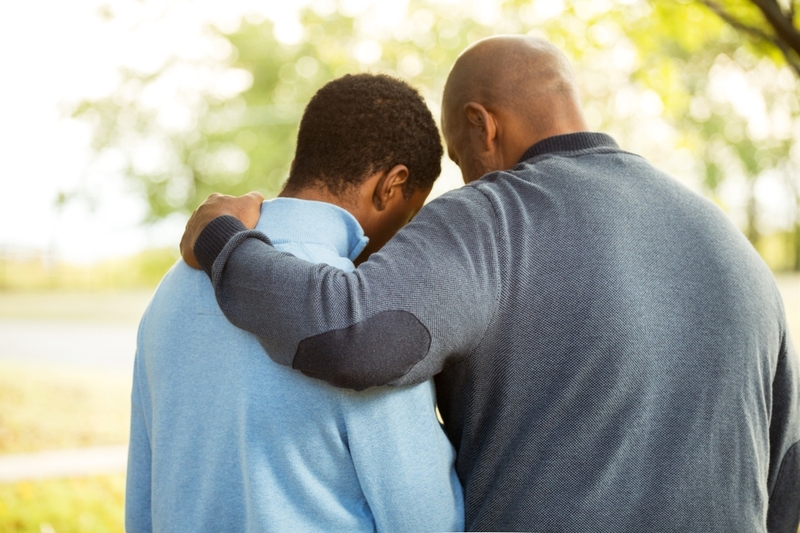 So if parents or guardians are unsure whether a teen is depressed or “just being a teenager,” it’s best to make an appointment with a care provider – either at home or in the clinic – and ask for help. 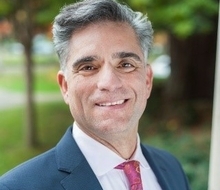 Dr. James Polo joined Regence this year as our newest Medical Director, where he is focused on strengthening and integrating the company’s behavioral health practices across the organization and in the community. Learn more about how Regence is supporting mental health and addiction prevention in our communities.